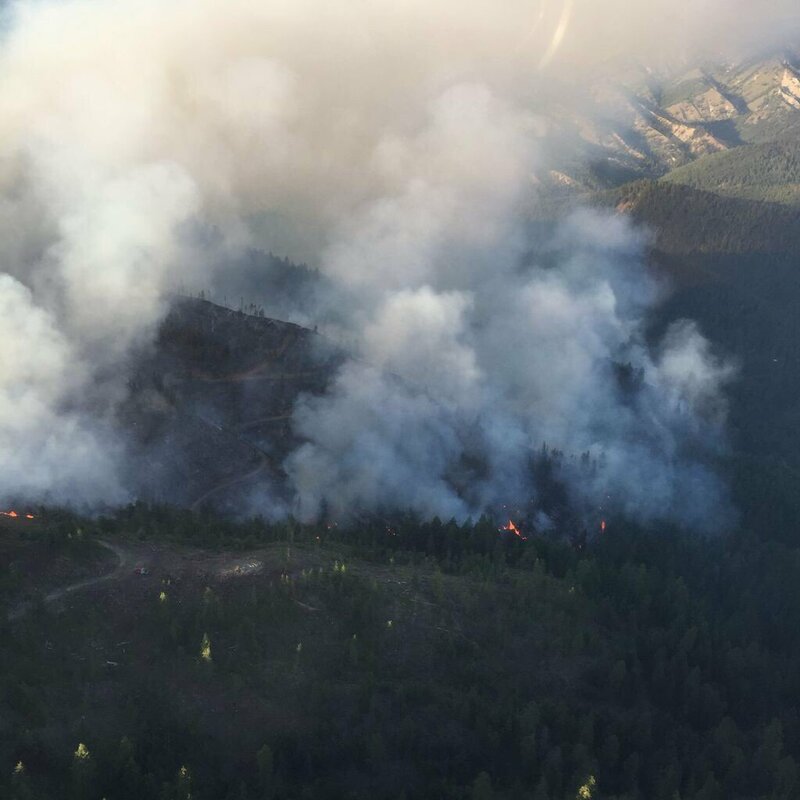 The LITTLE CAMAS FIRE is located six miles southwest of Cashmere inside Chelan County, Washington. The fire started on July 5, 2018, from an unknown cause, which is remains under investigation. The slow-moving fire has burned 399 acres of grass, logging slash and timber. It is currently at an 11% containment status. Fire behavior is moderate with backing, single-tree torching and short-range spotting. It is burning in steep and rugged terrain making it difficult for ground attack by crews to suppress. On Saturday, six rotor wings and two fixed wing aircraft were tasked with air attack activities. This included retardant drops and dipping out of a pond at the Camas Meadows Bible Camp. Expected containment is around July 20, 2018. The fire is being managed by a WA DNR Type 3 IMT with Don Melton as the IC. There are 334 fire personnel along with 11 crews and 24 engines on the fire line. Evacuations —> The Camas Meadows Bible Camp and three other nearby homes are under a Level 1 evacuation order. Closures —> Forest Service Red Hill Trail #1223 and Tronsen Ridge Trail #1204 from Ruby Creek to the 5 Mile Road junction are closed. Cost-to-Date has reached $578,000 and will continue this wildfire is completely put out.